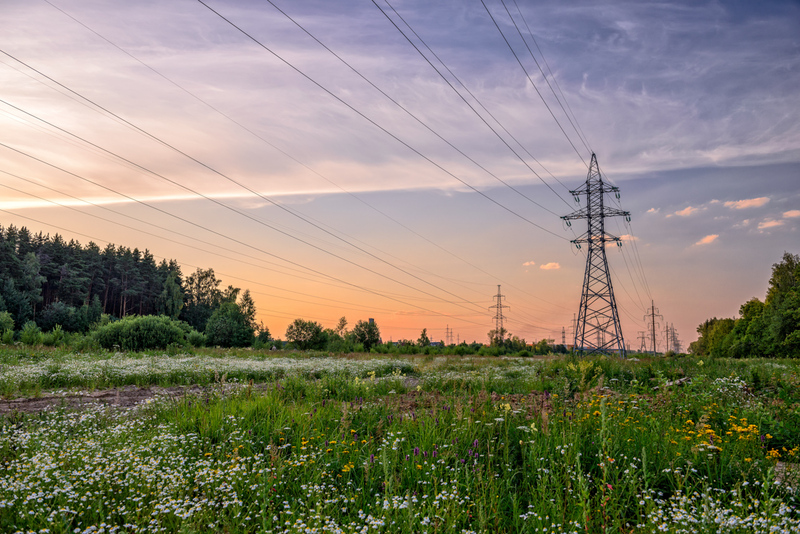 Post insulators are used as supports for bus-bars in transformer sub-station yards, in switchgear as support for breakers, and for capacitor banks. These insulators are generally subjected to bending, torsion and compression forces in service. In some cases they may also be used as jumper loop insulators for horizontal, upright or underhung installation. Depending on the installation, we offer several options of end fittings. Designs according to IEC, ANSI and other standards or to customer specification. 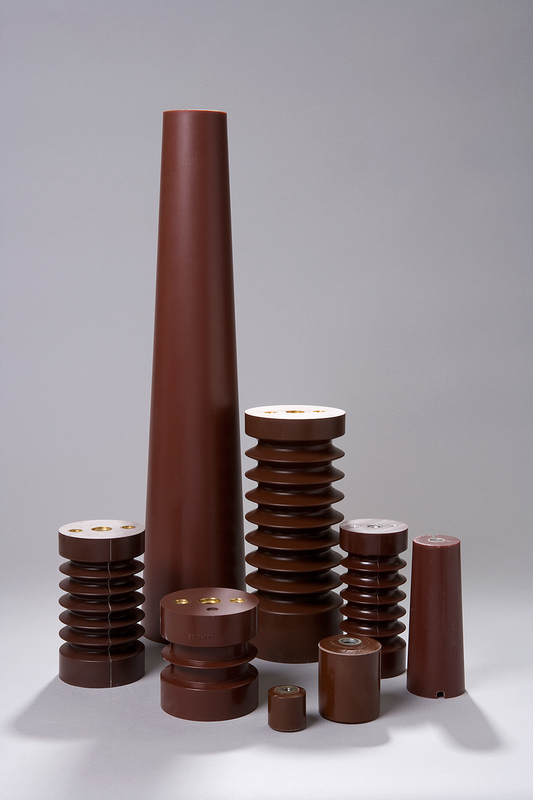 Post insulators are made in ceramic material but we also offer insulators in composite material for special applications. Solid core and puncture proof design. Made of aluminious oxide ceramic. Flexible creepage distance for different pollution levels. Composite insulator types are tested according to the relevant standards for the product category. Insulators in aromatic (indoor) or cykloaliphatic (outdoor) epoxy resin. Post insulators 1-72,5kV and bushing insulators 12-36kV. Standoff polyester insulators 750V – 8kV. Other special resin insulators on demand. Composite post insulators 24kV with forged aluminium or galvanized cast iron end flanges. 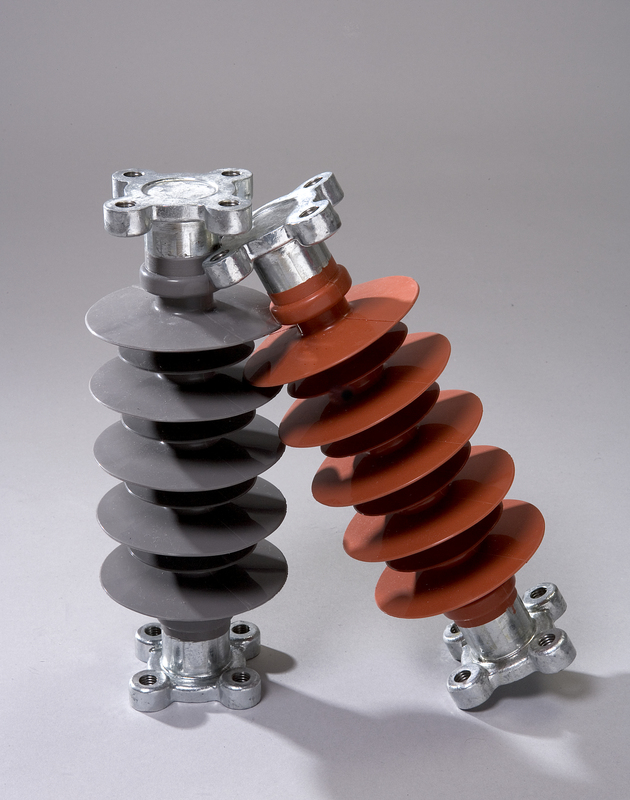 These insulators are used for bus-bars, airswitches or for other special applications. Composite post insulator 72,5kV – 16kN cantilever strength. 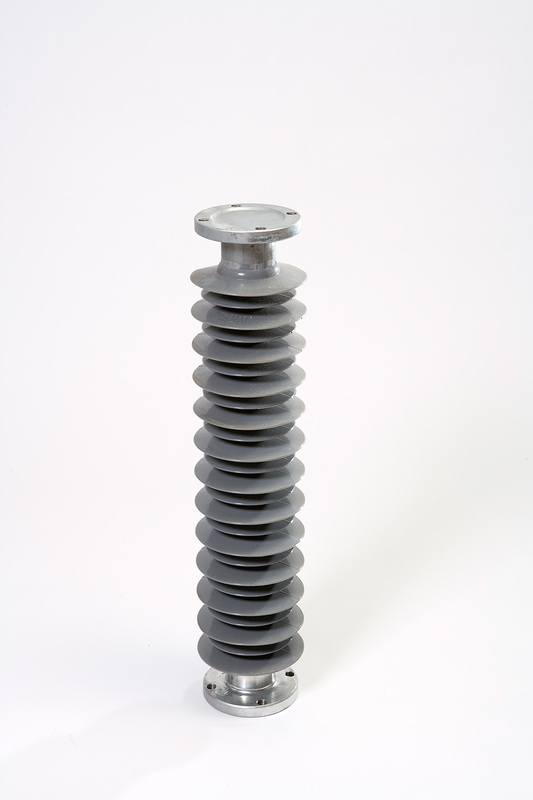 Composite post insulator 145kV – 8kN cantilever strength. Other composite post insulators on demand. Voltage level 1 – 765kV. Materials according to C120 or C130 – alumina porcelain. Glaze colours: Brown RAL 8017 or ANSI 70 grey. Leakage distance according to IEC 60815 or other special requirement. End fittings of hot dipped galvanized malleable cast iron or other alloy on demand. 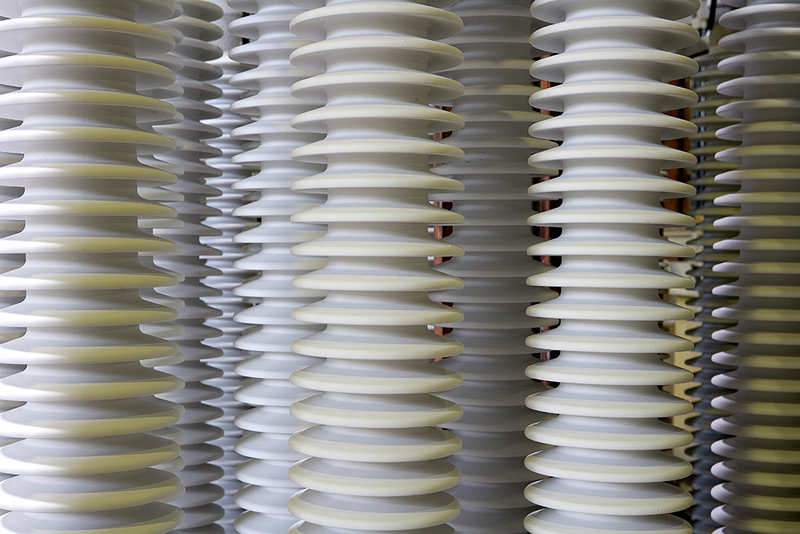 On demand, we offer insulators for higher voltage levels and special requirements. Insulators are tested according to the relevant standards for the product category.